I feel like this week has totally gotten away from me. Things have been crazy busy. Over the weekend, my husband and I took the Gman to Universal Studios in Florida. He is a huge Harry Potter fan. It all started when he was in the third grade. I would read one chapter a night to him. I was so sad when we read the very last chapter of book 7. We read from that series every night for almost two years. It was so sweet to watch him in the park. I am so glad that is something we were able to share with him. O.K. getting back to Thrift Shop Thursday #20. This week I am sharing some of my finds from the past. When I went to Goodwill earlier in the week, I found another Ironstone piece so I thought I would share some of my earlier pottery and dishes that I have been collecting. 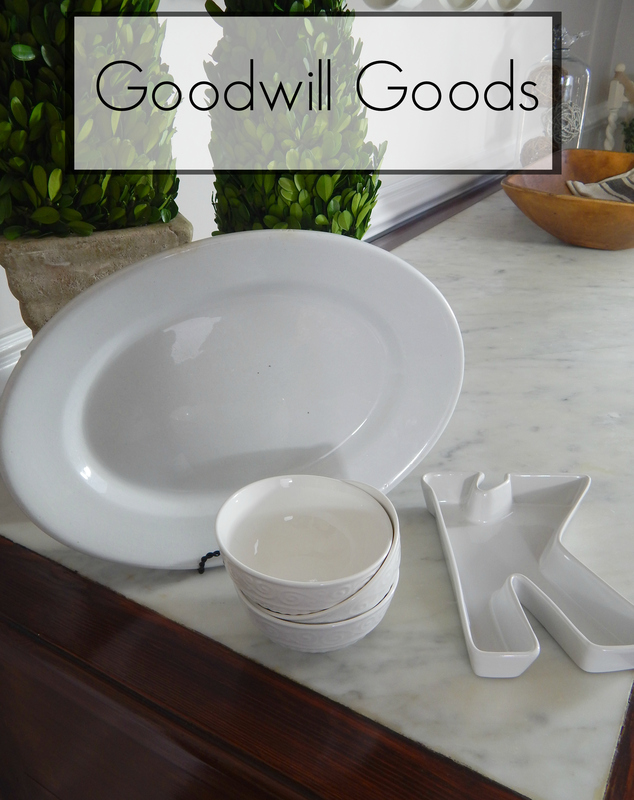 Most of these treasures have come from Goodwill with a few from consignment shops as well.